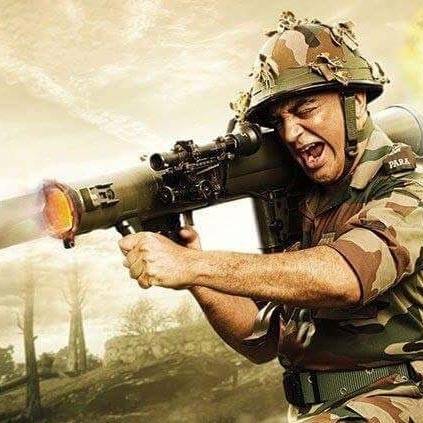 Finally, the day all Kamal Haasan fans have been waiting for is here - After a lot of struggle, years of patience, and close to half a decade of grueling work, Vishwaroopam 2 finally hits the screen today, August 10th. The film had premieres at some screens across the world and its Indian premiere just a while back at Kasi Theatre, Chennai around 8.10 AM. Sound designer Kunal Rajan was a part of this journey took to his Twitter space to share a few words about the film - "#Vishwaroopam2 finally releasing today! What an unbelievable journey it has been with @ikamalhaasan since part 1 of #Vishwaroopam. Hoping this is not a good bye to Cinema for you Sir. Thank you for everything. Working with you has been one of the best experiences of my career!" People looking for online information on Kamal Haasan, Kunal Rajan, Vishwaroopam 2 will find this news story useful.